Color RS87 (7 balls) and RS81 (7 balls). Total 14 balls. US size 6 (4.0mm) needle. Measurement is 38" in diameter. 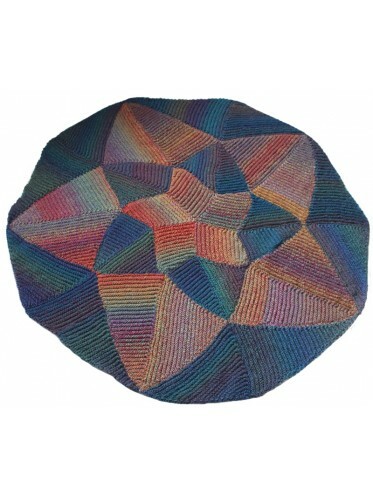 It is knitted from center out in blocks. No sewing is required.